I created this 16 minute video work to be played with Robin Cox's, "Mad River Echo", in Big Tent. 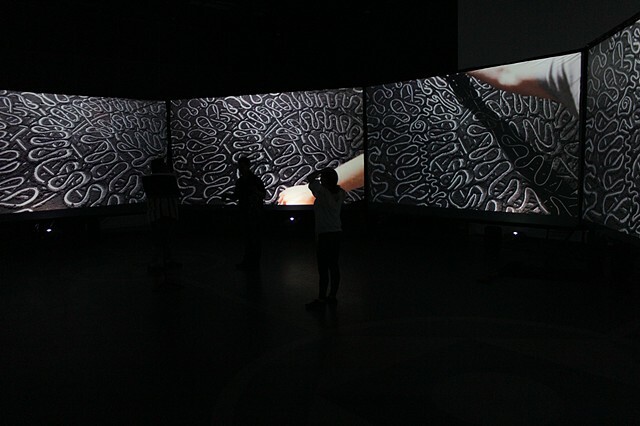 Utilizing graphite powder and blue pastel, my hand slowly drifts across multiple screens revealing a serpentine drawing. Robin performs his piece live while the videos are playing.